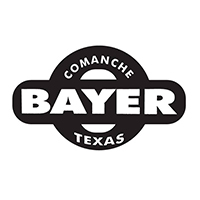 New Cadillacs for Sale in Breckenridge, Texas | Bayer Motor Company Inc. Bold. Powerful. Luxurious. The new lineup of Cadillac cars and SUVs are delivering thrills to buyers across Texas, and you can test drive one today in Breckenridge at Bayer Cadillac. With models like the new compact crossover XT4, the classic Escalade or the refreshing CTS, it’s clear that the new generation of Cadillacs are ready to win over driveways everywhere. Bayer Cadillac is the destination for new Cadillac sales and service, and as part of the Bayer Auto Group family, you can count on getting world-class treatment. Crystal White 2019 Cadillac Escalade ESV Premium 4WD 10-Speed Automatic with Overdrive 6.2L V8 4WD. New vehicle pricing includes all offers and incentives. Tax, Title and Tags not included in vehicle prices shown and must be paid by the purchaser. While great effort is made to ensure the accuracy of the information on this site, errors do occur so please verify information with a customer service rep. This is easily done by calling us at (877) 273-6920 or by visiting us at the dealership. Have financing questions before you buy your new Cadillac? Thinking about lease options for your Cadillac instead? We can help you out! Our team is here to guide you and make the process of getting your favorite new, CPO or used Cadillac in your driveway as seamless as possible.